The first Saturday of Barnaby, Saturday 16th June, is traditionally Parade day, and 2018 is no exception. If you’re involved with a local group, this is your chance to be a part of one of the best town parades in the country! Whether you’re a regular participant or a newcomer, it’s easy to get started. 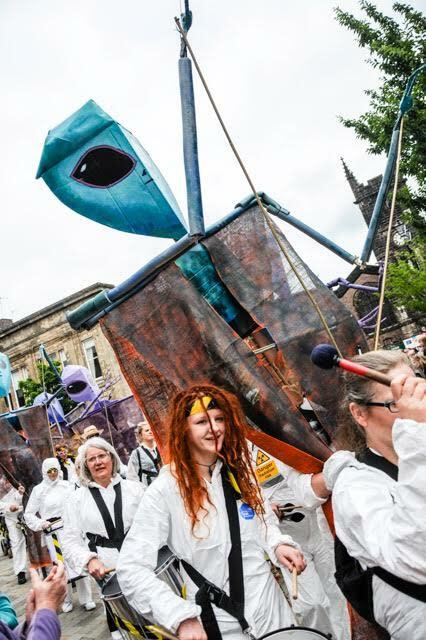 Parade organisers Macclesfield Community Art Space can offer ideas and inspiration around the Roots/Routes festival theme, and they also provide hands-on help with the practicalities. For more information and to register your group, see the Art Space website.